(RxWiki News) Vitamin D is a powerful nutrient. In addition to aiding our bones, vitamin D helps reduce inflammation and keeps the immune system strong. It may even help stall a chronic disease. Early-stage multiple sclerosis (MS) patients who had adequate blood levels of vitamin D had less severe disease activity than patients with inadequate levels of vitamin D, a new study has found. Healthy vitamin D levels were associated with fewer new brain lesions, lower relapse rates and lower brain loss in these patients. As a result of these findings, the researchers suggested that taking vitamin D supplements along with MS medications should become a standard of care for newly diagnosed MS patients. 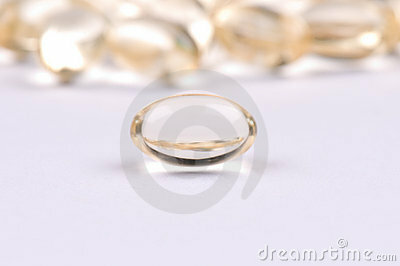 "Ask your doctor to check your vitamin D levels." Alberto Ascherio, MD, DrPH, professor of epidemiology and nutrition at the Harvard School of Public Health in Boston, and colleagues discovered the link between vitamin D levels and lower disease activity by studying data from another trial evaluating the effectiveness of an MS medication. Multiple sclerosis is a disease that causes problems with muscle strength and control, balance, feeling, vision and cognitive function. The investigators reported that previous research has shown a link between lower vitamin D levels and higher risks of developing MS or having more serious disease symptoms. These studies, however, involved patients who had been living with MS for years. So it was difficult to determine if the association between vitamin D and disease activity was a consequence of the disease itself. For this study, Dr. Ascherio’s team was working with patients who had just started having MS symptoms. These researchers analyzed data from 465 MS patients participating in the BENEFIT (Betaseron in Newly Emerging Multiple Sclerosis for Initial Treatment) trial, which compared the effectiveness of early versus late interferon beta-1b (brand names Betaseron and Extavia) treatment. The vitamin D levels of patients were measured at the onset of their symptoms and at regular intervals over a 24-month period. These levels were then compared with disease symptoms and progression over the next five years. Vitamin D levels are tested with a blood test that looks at what doctors call “serum 25(OH)D concentrations.” Levels of 50 nmol/L or higher are considered adequate for bone and overall health. To track the progression of MS, patients underwent magnetic resonance imaging (MRI) every three months for the first year, then at 18, 24, 36, 48 and 60 months. 57 percent lower rate of new brain lesions (the hallmark sign of MS progression). 57 percent lower relapse (disease flare-ups) rate. 25 percent lower annual increase in lesion volume at five years compared to those with lower levels of vitamin D.
Loss in brain volume or brain shrinkage, which is an important predictor of disability, was also lower among patients with adequate vitamin D levels. "The benefits of vitamin D appeared to be additive to those of interferon beta-1b, a drug that is very effective in reducing MS activity,” Dr. Ascherio said in a statement. “The findings of our study indicate that identifying and correcting vitamin D insufficiency should become part of the standard of care for newly diagnosed MS patients." This study was published January 20 in JAMA Neurology. This study was supported by the National Institute of Neurological Diseases and Stroke and the National Multiple Sclerosis Society. The BENEFIT study was sponsored by Bayer, the maker of Betaseron. A number of the authors reported financial ties with various pharmaceutical companies.